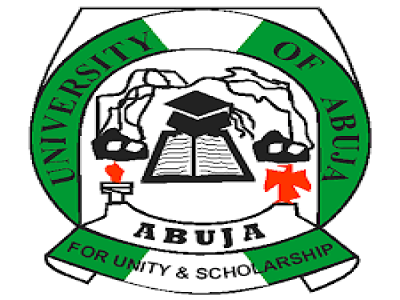 1st or second choice candidates who seek for University of Abuja (UNIABUJA) Admission 2019/2020 should see requirements, Application Process and be Ready for the Unified Tertiary Matriculation Examination. VERY IMPORTANT: The University of Abuja (UNIABUJA) Post UTME Admission Form for the 2019/2020 is not available at the moment…we will advice that you to stick around or better bookmark this very page once the UNIABUJA Post UTME Admission Form 2019 is out this page will be updated immediately. While waiting for the University of Abuja (UNIABUJA) Post UTME Admission Form/DE Screening Exercise for the 2019/2020 see how it was conducted previously. The management of the University of Abuja (UNIABUJA) invites suitably qualified candidates to its 2018/2019 academic session post UTME and Direct Entry screening exercise. UNIABUJA Post UTME/DE Screening Eligibility. Participated in the 2018 Universities Tertiary Matriculation Examination (UTME) or applied through Direct Entry (DE) mode. Scored not less than 180 marks in the 2018 UTME. Possess at least five “O” level credit passes at not more than two (2) sittings in relevant subjects. The candidate must have chosen University of Abuja as first choice in the 2018 UTME. How to Apply for UNIABUJA Post UTME. Eligible candidates are required to pay a processing fee of N2,000.00 (Two thousand Naira only), through Remita Platform via the University of Abuja 2018 Post-UTME Screening Portal. Before commencement of registration, a Candidate is required to have his/her JAMB/ UTME registration number and O’Level examination qualifying details handy with the respective results check scratch card details before proceeding to commence this application. Visit the University of Abuja 2018 Post-UTME Screening Portal at www.uniabujautme.com/putmeand create your profile. Input your JAMB/ UTME registration number. Make your payment by Clicking on the “[Proceed]” button. Kindly note that you shall be re-directed to the Remita payment platform. The only acceptable payment option is by ATM. After making the payment, go back and log to the university of Abuja site- www.uniabujautme.com/putme with your username (JAMB/ UTME registration number) and password. Candidates are required to provide information about their O’Level results. Please note that this stage is critical, as any incorrect information a candidate provides shall result in outright disqualification of the candidate. Fill in the results check scratch card details for the applicable O’Level examination body (WAEC/NECO/NABTEB). The candidate selects the Course and Faculty/ College he /she had chosen in the 2018 UTME exercise. On selection of the course the Candidate applied for in the displayed form, a list of requisite subjects applicable to that course appears. Fill in the grades in the drop-down table. Again note: incorrect information shall result in outright and automatic disqualification of the candidate. Candidate then clicks on the “[Submit]” Button. Candidate may repeat steps 5 a. – c. in situation where the candidate combines results. The O’Level results fetched in this process and used by the candidate to fill this online screening form is what shall be presented for verification, if the candidate is admitted. Any discrepancy between results entered at this stage and credentials presented for verification at point of admission into the programme, shall invalidate the candidate’s provisional admission. Kindly note that O’Level results and number of sittings are weighted. After a candidate fills the form, they accept the “Terms and Conditions” by clicking on the submit button and can take print out after executing the “[Submit]” button. Return to the University of Abuja 2018 Post UTME Screening website within a week to check for your results. I confirm that I have read through and understood the information contained in this screening process. I have paid the prescribed charge of N2.000.00 only in the Remita Platform via this website. I understand that any wrong information I provided in the course of filling this form shall lead to my disqualification at any time any such wrong information is discovered. I undertake that the information I have provided here are to the best of my knowledge, accurate and correct. I take full responsibility for all of it. I absolve the Authorities of University of Abuja and its assigns of any liability for their decisions taken based on any information I provided throughout this screening process. Thank you so much for taking a Tour on this post (University of Abuja (UNIABUJA) , Post UTME admission form 2019/2020 academic session) we have take time to officially dish out Top Information and Now it’s turn to show us a little gratitude. Help us spread the information by making use of the sharing button Below, and don’t forget to subscribe to get great News and other Information, we wish you success in all your endeavors…Stick around for more Info.